The move towards EVs is gathering pace as global sales keep growing. BMW have been showing strong sales figures over the past year across its range but have really taken a big jump. 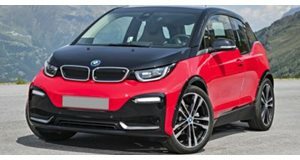 According to BMW Blog, compared to the same month last year worldwide electrified vehicle sales have shown an increase of 47.6 percent. 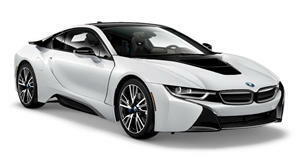 This means that a total of 13,806 BMW i, iPerformance and Mini electric vehicles have found new homes. A big improvement to be sure but this is still only a small fraction of the 200,000+ cars BMW sells each month. The situation is changing quickly though. Oliver Zipse, a member of the board of management at BMW estimated that by 2025 up to 25% of all cars sold will have some form of electrification. At current levels that would equate to over , a goal that seems eminently reachable considering the investment that is being put into the next generation of hybrids and EVs. are planned over the next seven years, underpinned by a flexible fifth generation architecture which will allow implementation in anything from hatchbacks to sports sedans and SUVs. The demand for the current electric and hybrid models is predictably strong in California but the US overall has shown an increase of 51.3% in the first half of 2018. Outside of the US, countries like Norway have really embraced and three out of every four BMW cars sold there are electrified. Other major markets like China and the UK are also showing increased demand for electrified cars so that 25 percent figure suggested by Zipse may well be very conservative.